An auction is underway for 5 historic homes in Jeffersonville which were moved by the Indiana Department of Transportation (INDOT) in preparation for the Ohio River Bridges Project. 411 W. Market in Jeffersonville IN. 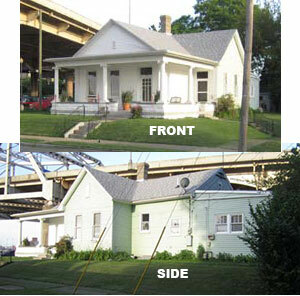 Below is a link to INDOT’s website detailing surplus properties where details of the auction are listed. Scroll down to Clark County and you’ll find a link for each home along with instructions on how to submit bids, and photos of and detailed information about each house.